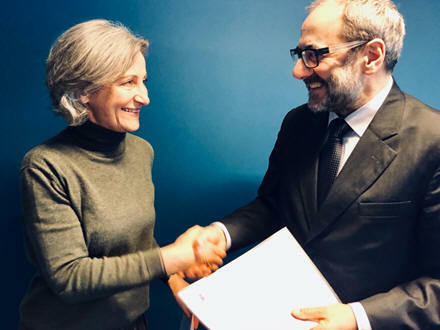 (Brussels, January 30 2019) ARRS and the Swiss National Science Foundation – SNSF have signed a Lead Agency agreement. The agreement will further support collaboration among Slovenian and Swiss researchers. About the Lead Agency: The aim of Lead Agency Procedure is promoting international scientific collaboration as a driving force for excellence. The cooperation agreement concluded by agencies from different countries enables researchers to apply for a joint project at one of the agencies (the Lead Agency). It simplifies the submission and evaluation of transnational applications. The application must be prepared in accordance with the formal guidelines of the Lead Agency. The project parts should be closely integrated and there should be scientific input from both sides. The Lead Agency administers the evaluation process in accordance with its standard procedures that apply for the respective funding programme. Partner agencies mutually recognize their peer review procedures and operate as trustful partners. ARRS and SNSF have agreed to take turns as the Lead Agency on a yearly basis. In 2019, Lead Agency applications with SNSF may only be submitted to the SNSF, regardless to where the larger portion in terms of funding of the project may be requested. The call will be published by the end of February 2019.